The first inspections began Monday morning in Foxconn's mega-facility in Shenzhen, China, led by a team of labor experts featuring FLA president Auret van Heerden. "We believe that workers everywhere have the right to a safe and fair work environment, which is why weve asked the FLA to independently assess the performance of our largest suppliers, Apple Chief Executive Tim Cook said. "The inspections now underway are unprecedented in the electronics industry, both in scale and scope, and we appreciate the FLA agreeing to take the unusual step of identifying the factories in their reports." The FLA will interview thousands of employees at Apple's overseas partners, asking them about working and living conditions in the Chinese factories. Topics will include health, safety, compensation,working hours, and communication with management. In addition, the FLA will also inspect manufacturing areas, dormitories, and other facilities, and will conduct an extensive review of documents related to procedures at all stages of development. 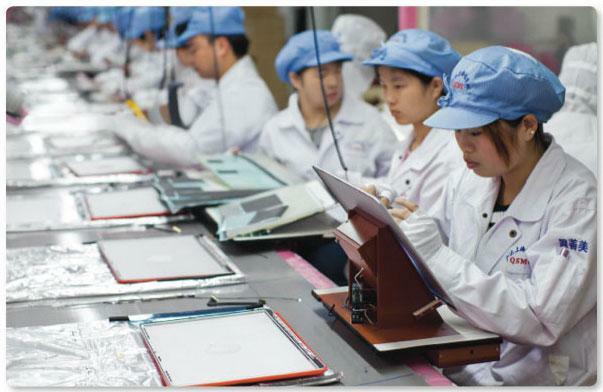 Apple's announcement of the FLA audits comes after a number of reports, including high-profile stories from The New York Times and CNN, highlighted labor issues in Apple's supply chain. The Times article suggested that Apple has known about those issues in its supply factories for years without requiring that they be addressed, but Cook fired back and called those claims "patently false and offensive." A month ago, Apple announced it had joined the Fair Labor Association, making it the first technology company to do so. Its participation in the FLA means that Apple agrees to have the association independently assess facilities in its supply chain and report detailed findings on its website. Apple said on Monday that its suppliers have pledged full cooperation with the FLA, offering unrestricted access to their operations. The FLA's findings and recommendations from these initial assessments will be made publicly available in early March. In addition to Foxconn, the FLA also plans to conduct audits and interviews at suppliers Quanta and Pegatron later this spring. The FLA's final assessment will reportedly cover facilities where more than 90 percent of Apple's products are assembled. The FLA audits are in addition to Apple's own audits, the results of which are revealed each year in the company's annual supplier responsibility report. In 2011, a total of 229 audits were conducted, which was an 80 percent increase from 2010.